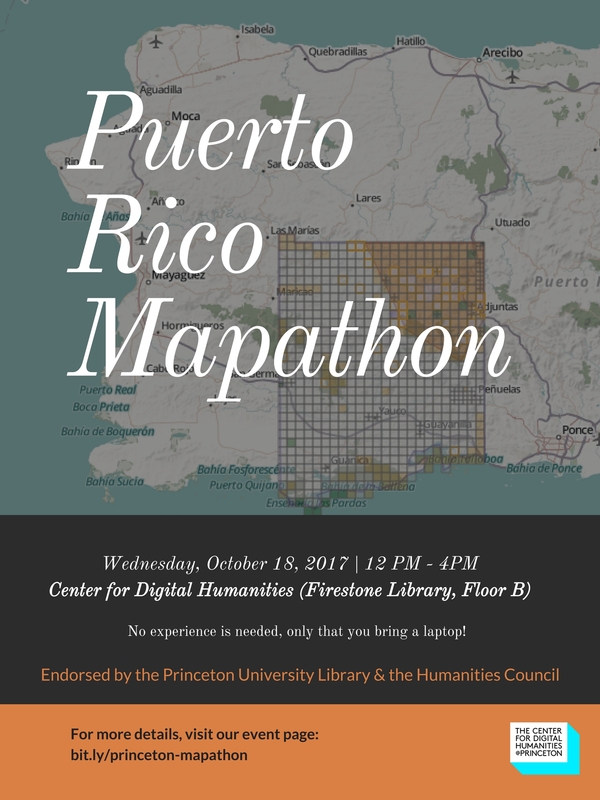 Next week, we are holding an event on the Princeton campus to assist relief efforts in Puerto Rico and other areas impacted by recent disasters. 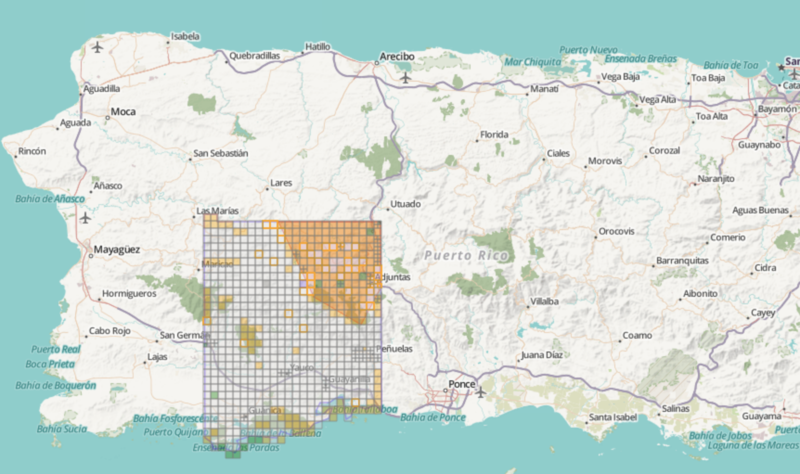 Many aid groups report difficulty delivering much-needed goods and services to remote areas because currently-available digital maps are inadequate. Join us on Wednesday to improve those maps through the Open Street Maps project. No experience or knowledge is required, only a laptop: come when you can, leave when you must! Light refreshments and snacks will be served. Learn more about mapathons happening across the country from PBS NewsHour. Contact jccasey \@\ princeton.edu with any questions.